GloW Channel Media Group 2010. Mark Zuckerberg is so rich, he could carpet his house with $100 bills and still have more money than all the readers of this post combined. reggaeton ........I think I need to watch this OVER AND OVER!! Magic 8 Ball Tour Recap from Mr Goldbar on Vimeo. Beyonce Performs "Run The World (Girls)" With Les Twins At Glastonbury 2011! LES TWINS are just Siiiiiick!! Katy Perry To Tie With Michael Jackson's Billboard Record! Katy Perry is about to do something that no other female singer has done before. Michael Jackson is the only artist who has ever had five No.1 Billboard Hot 100 hits from one single album. "MOVE OVER KATY PERRY, I'VE FOUND MY SUMMER ANTHEM"
FASHION MAGAZINE ON DVAS HIT "SOCIETY"
Check out DVAS no holds barred80's inspired dance party! 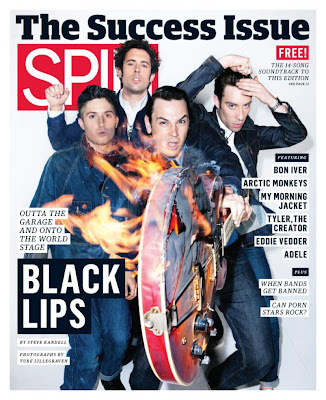 DVAS continue to make waves in the music scene since their album “Society” was named NOW Magazine’s Top 10 LocalAlbums of 2010. Upper Class' latest project, Christien Summers is a dramatic and dreamy dance-pop experience, both familiar and strikingly modern. The Winnipeg Sun crowned them Indie Band of the Day after they made their performance debut at Canadian Music Week and slayed the audience leaving the crowd begging for more. A couple of weeks ago, we strapped on our helmets and took Dale Earnhardt Jr. Jr. to the races—go-kart races, that is. 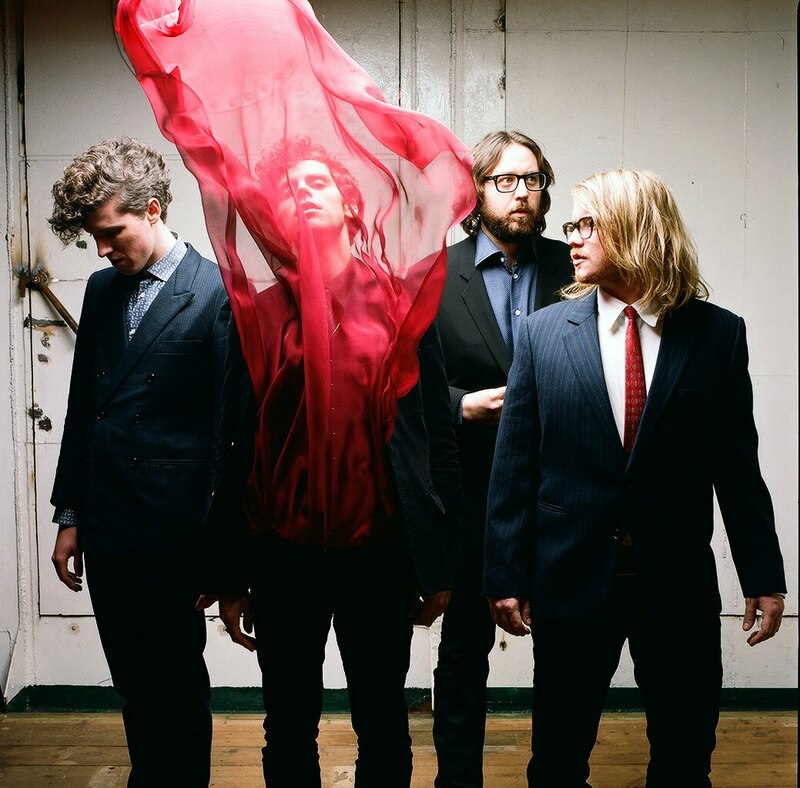 There was no setting more appropriate to discover the men behind the moniker, a couple of fast-paced humorists with their fingers on the pulse of electro-indie pop. Although the boys were outrun by a couple of kids, as they so aptly observed about racing (and life), "it's not who finishes first, it's who finishes best". They were certainly dressed their racing best (somewhat ironically), sporting tweed suits and ties in lieu of their usual NASCAR attire in celebration of the release of their debut It's A Corporate World. That sealed the deal for us. Gain a little insight into their history (and their racing chops)in this exclusive interview. New York, NY – Multi-platinum rock band Incubus have announced today, that they will be celebrating the release of their new album If Not Now, When? with a series of intimate performances at a gallery space called “Incubus HQ Live” located in the heart of their hometown, Los Angeles kicking off June 30 – July 6th. With this unique, live, interactive experience, Incubus has discovered a new way to collaborate with their fans allowing them unprecedented access to their whole journey as they prepare for the release of a new album on July 12th and an upcoming world tour. “Incubus HQ Live” literally combines the latest in interactive web technology with good, old-fashioned, in-person interaction complete with impromptu live sets, live web streams and instructional clinics all being captured in a real-time documentary. “Incubus HQ Live” will be open daily from 10am – 6pm PT, where various members of the band will be present during the day hosting how-to clinics with additional special performances scheduled. Incubus has spanned the globe playing thousands of sold-out shows on five continents and now they want their fans to get a sneak peek into their lives with this one-of-a-kind event. The “Incubus HQ Live” will be equipped with multiple cameras around the space in order to capture all of the action in real time for fans around the world. The entire event will be syndicated online via embedded players on LiveStream hosted on all Incubus web properties as well as a variety of media partners. Additional live streams will come in the form of “life stream” cameras placed on each band member as fly-on-the-wall web cams. Fans should tune in for the journey because anything can happen! 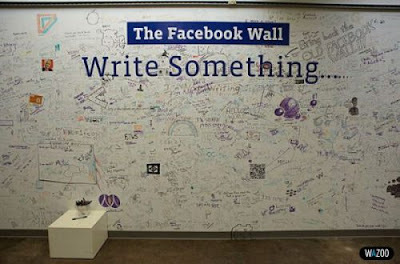 Specially designed web properties will allow fans everywhere to interact with the band in real time via Twitter, message boards and photo uploads that will all be projected on the walls of the space for the band and fans to see. 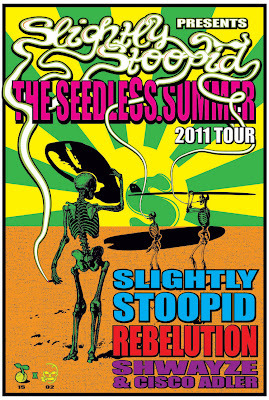 Fans who want to gain access to the “Incubus HQ Live” during store hours can visit www.incubushqlive.com. Fans who pre-order the album at www.enjoyincubus.com will get exclusive early access to tickets for the upcoming tour. Upon ordering, fans will immediately be sent Mp3 of singles “Adolescents” and “Promises, Promises”. An album pre-order is also available on iTunes featuring exclusive content. Having sold over 13 million albums worldwide, Incubus' extraordinary career has spanned over a decade, and includes six studio albums. The multi-Platinum quintet’s last studio album Light Grenades debuted Top 20 on the Nielsen SoundScan Current Album Chart and was certified Gold in Canada. 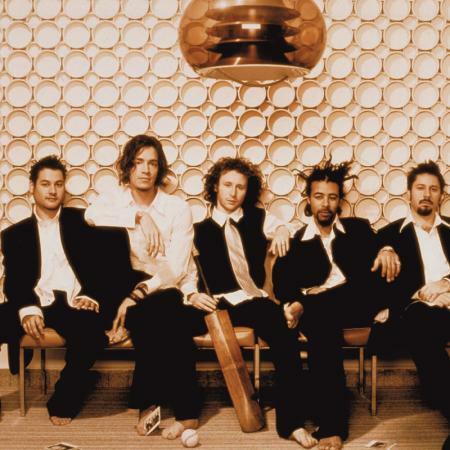 Hailing from Calabassas, California, Brandon Boyd, Mike Einziger and Jose Pasillas formed Incubus in 1991 while they were in high school with Chris Kilmore joining in 1998 and Ben Kenney joining in 2003. The band’s break came in 1999 with the singles, “Pardon Me,” “Stellar” and “Drive,” from their second full-length, platinum selling disc Make Yourself. The group’s third album, Morning View, released in 2001, debuted at #3 on the Nielsen SoundScan Current Album Chart and included the radio hits “Wish You Were Here,” “Nice to Know You” and “Warning.” In 2004 Incubus released A Crow Left of the Murder which achieved Gold status on the strength of the Top 5 hit “Megalomanic,” on the BDS Canada Rock Chart. 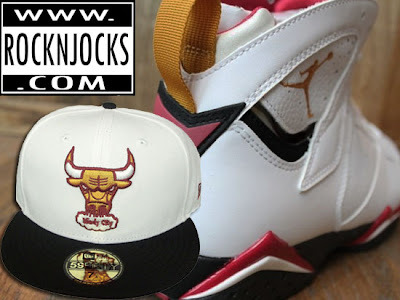 Neak - It's Your World from Cam Be on Vimeo. Soulmotor release video for "Down in Mexico"
SoulMotor bassist Brian Wheat, along with lead vocalist, songwriter and video director Darin Wood have documented a drug deal gone bad “Down in Mexico,” by being in the Wrong Place …at the Right Time. The fictitious drug deal and more are stories set to song are all part of SoulMotor’s upcoming CD, Wrong Place at the Right Time. Wheat and Wood have created a cast of characters including the more-than-shady Reefer-Man Sam who appears on both “Down in Mexico” and the title track. This low-life has double-crossed the FBI, double-crossed the Mob and has even double-crossed his mom. A knife fight results in murder and Sam heads south of the border with a suitcase full of cash, a .45 in the glove box and a few tabs of mescaline playing pinball in his brain. Along the way, Sam picks up more bad news in a tight dress by the name of Lola De La Mota and by the time he reaches Mexico, he’s seduced by The Chick With No Name, ambushed by the cops and gets his own music video directed by none other than SoulMotor lead singer Darin Wood. 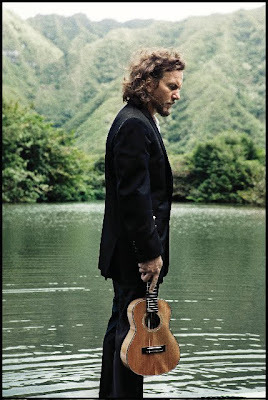 In addition to the aforementioned tracks “Down in Mexico” and the title song, “Wrong Place At The Right Time”, the other nine remaining tunes and characters on Wrong Place at the Right Time include the following. Jeremy Glenn works on 2 levels. As with many Future Classic releases, Jeremy Glenn's sun-drenched euphoria on "New Life" is perfect for driving home from the beach or partying seaside through the evening. But when you look deeper, you see Jeremy is unafraid to come bearing soul, daring to embrace his natural pop sensibilities, while celebrating the underground scene that’s shaped him as a DJ (he sings and produces everything himself). Already he has shared the decks with James Murphy, Tensnake and Andy Butler as well as performing live alongside Dam-Funk, Aeroplane, and Alexander Robotnick. No doubt more collaborations and mutations are to come. Digital release June 20, available earlier on 12" vinyl. Neil Nathan's Highways Animated Flying Car Video is now live. So press play on the 67 Corvette Sting Ray Convertible inspired flying car below and take a Sunday Summer Drive with him. Highways is on The Distance Calls LP, which was produced by Bobby Harlow from The Go and features musicians from The Dead Weather, Queens of The Stone Age, Kid Rock, Detroit Cobras, and The Go. The Distance Calls also includes the song California Run, which is currently spinning at San Francisco Giants games at AT&T Park. Sundress is an American Psychedelic-Pop band, formed in Denton, Texas in 2010 by principle members Ryan McAdams, bassist Drew McCary, guitarist Kennon Talley, keyboardist Jim Harrington and drummer Brack Cantrell. Sundress is described as having an ethereal or “Dream Pop” sound bringing in influences all across the board. The five young men harvest a brand new, much modern sound in the veins of Slowdive, Pink Floyd, Sparklehorse, Spiritualized, Radiohead and more. Just a bunch of small town kids in a small town trying to make the biggest sound possible. In a very short period of time Sundress was receiving copious amounts of attention, playing to packed crowds across Texas and causing a ‘hypnotic plague’. 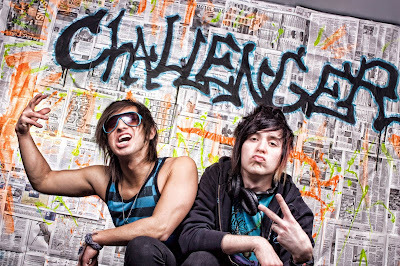 They’ve been deemed ‘Best New Act’ out of North Texas by multiple newspapers and local magazines. Over the past four years, Fool's Gold has established itself as a new kind of independent record company, one just as comfortable introducing once-unknown artists like Duck Sauce, Kid Cudi and Kid Sister to the world, as throwing sold-out parties where Kanye West and Drake just happen to stop by and hang out, or splashing their irreverent, eye-popping visual attitude across everything from vinyl sleeves to rubber ducks. Through the catalog of work and the family of artists they've curated, Fool's Gold has become a name you can trust for new and interesting work in every context. 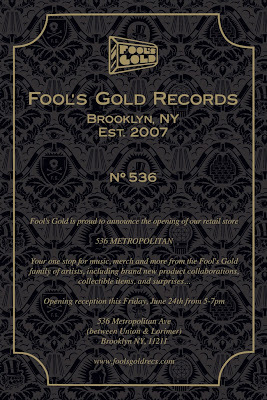 Their latest endeavor to proudly sport the gold bar logo is 536 Metropolitan, a top-to-bottom transformation of Fool's Gold's storefront office in Williamsburg, Brooklyn into a French bistro-inspired retail experience, featuring a wooden bar where the taps have been replaced by fully-stocked record crates, custom wallpaper and art prints, and an ever-changing selection of exclusive new merchandise alongside rare finds from the FG archives. Equal parts vinyl mecca, gallery space and clothing boutique, 536 Metropolitan launches as an instant must-visit for music fans of all kinds. 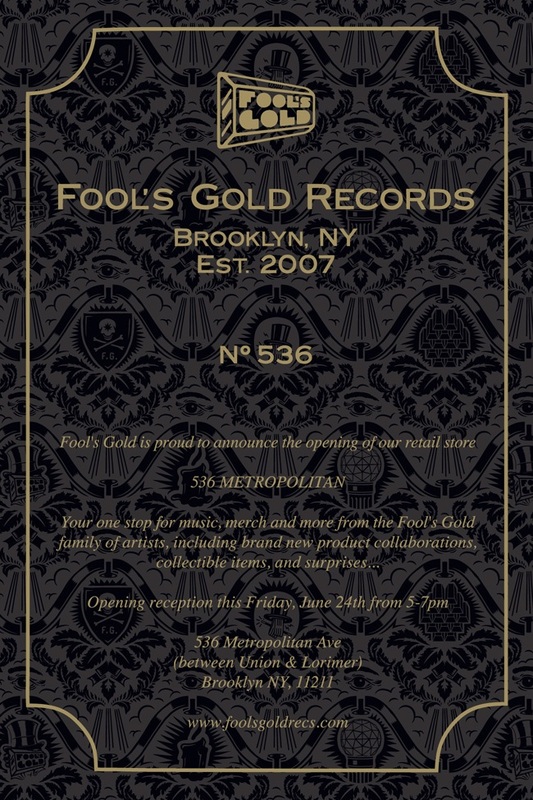 Along with Fool's Gold's own music and merchandise, 536 Metropolitan will also serve as a launchpad for product collaborations with like-minded international brands. The store opens with a collection of FG-designed luxury laptop, iPad and digital camera cases from the Italian compmany Pijama, with a line of audiophile-quality Fool's Gold headphones (for DJs and iPod-ers alike) made by Copenhagen-based AiAiAi to follow this Fall. Yet before it's even been officially announced, the most sought-after upcoming Fool's Gold collab is a limited-edition Members Only leather jacket, as worn onstage by A-Trak and Dave1 of Chromeo. 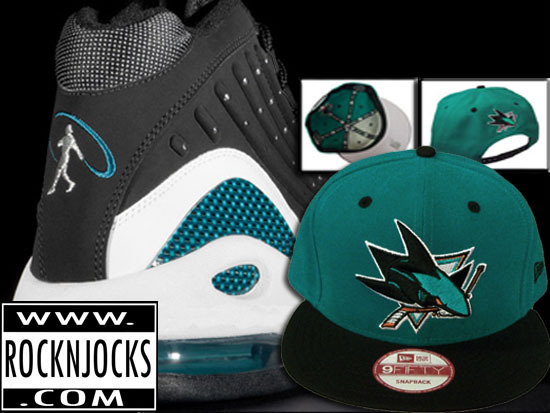 These items will also be available on FG's new online store launching the same date as the shop. Come see 536 Metropolitan in person when it is unveiled to the public Friday, June 24th. The Fool's Gold founders will be hosting a cocktail hour for friends, family and press from 5-7pm. Afterwards, there will be an official launch party for the Members Only collaboration at surprise location on the west side of Manhattan to be announced this week. Download Bonus Track: "Party Like It's 1929"
Watch: The Making Of "Songs"
announces its first signing: one of Europe’s most talented singer-songwriters, Thomas Dybdahl. 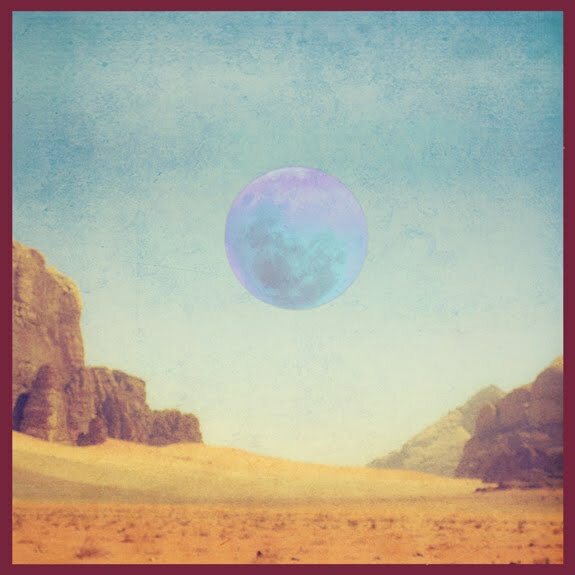 Strange Cargo debut album, Songs, is due this spring. Download bonus track "Party Like It's 1929." and Belgium. The first single "Ceilia" is available now on iTunes, pre-order the album at Amazon. also worked with such superstars as Bryan Adams, Peter Gabriel, Don Henley, and Bonnie Raitt. Larry Klein said: “I'm honored to be a part of bringing Thomas' music to the rest of the world. His work has an intrinsic emotional power, and reflects an attention to subtlety that I rarely hear. evangelist when it comes to what he does." Montreal, (QC)-French-singing rockersMalajube have announced the U.S. release of their new full-lengthLa Caverne via MB3 Records (Royskopp, GavinFriday). The digital version of the album will be released on July12th with a physical release date of September13th. 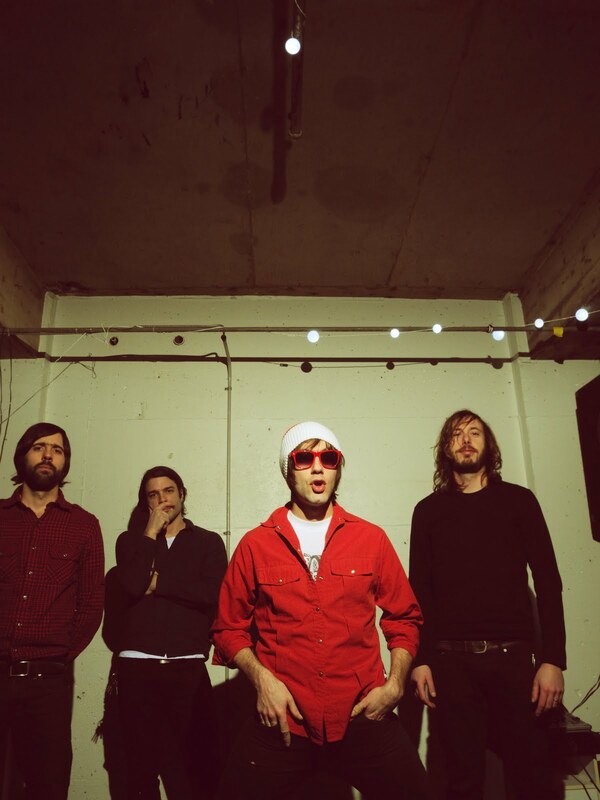 The band who recently performed in New York withThe Besnard Lakes and Wintersleep have been killing it withmainstream English audiences despite their adherence to singing inFrench. The band deliver music that veers from progressive pop todance floor centric indie rock, complex but always catchy. The highdegree of songwriting led early press to lovingly tag them as the Frenchlanguage cousin of Arcade Fire. UKULELE SONGS Album Out Now on Pearl Jam's Monkeywrench Records. WATER ON THE ROAD Live DVD directed by Brendan Canty of Fugazi and Christoph Green is also out now. Please reach out if you're interested in setting up a contest or reviewing either of the above to preview any of the dates. Pick up your copy of Ukulele Songs in iTunes (http://itunes.apple.com/us/album/ukulele-songs/id433985038) or Amazon (http://www.amazon.com/Ukulele-Songs-Eddie-Vedder/dp/B004V6MWFU). Limp Bizkit's much anticipated album Gold Cobra is now available for pre-order oniTunes. The album is the band's first with the original lineup in 10 years, and will come in several configurations. A standard release which features 13 new songs, and a digital only Deluxe Edition which contains 16 new songs. Additionally, the band will release an edition of GOLD COBRA containing 17 original songs which can be purchased physically, exclusively at Best Buy, and digitally, exclusively at Napster.com. Last week the band released alyric video for the single, "Gold Cobra", which featured Fred Durst sporting a Imperial Scout Trooper helmet from Star Wars. Gold Cobra in-stores on June 28th. 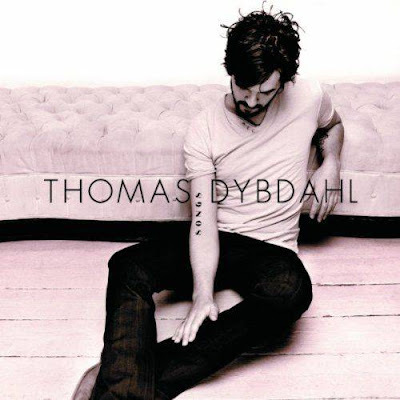 Listen to a preview of the entire album here. 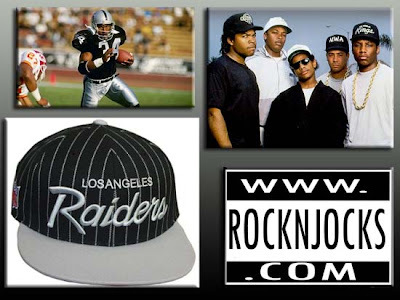 To stay up-to-date with all the latest news 'LIKE' Limp Bizkit onFacebook and check out theirOfficial Site. Today, Warner Bros. Records releases the album to the hotly anticipated motion picture Transformers: Dark of the Moon - the third film in the Oscar-nominated summer blockbuster Transformers series, which hits theaters nationwide on June 29th. 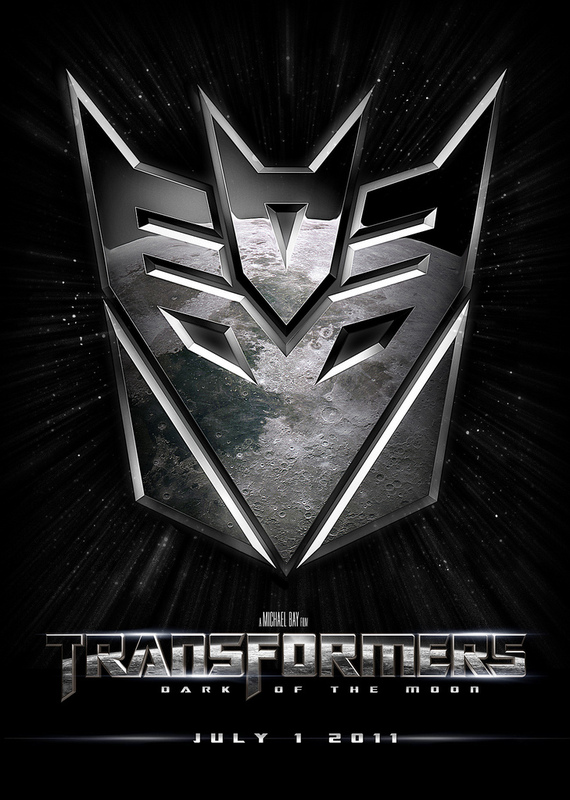 Released in Standard, iTunes Deluxe, and Game Stop configurations, The Transformers: Dark of the Moon albumfeatures music from Linkin Park, including the first single "Iridescent," My Chemical Romance, Taking Back Sunday, Art Of Dying, Theory Of A Deadman, Black Veil Brides, Skillet, Staind and Mastodon (who contribute a cover of ZZ Top's "Just Got Paid"), as well as new music from Paramore and Goo Goo Dolls debuting exclusively on the album. The iTunes Deluxe edition also includes tracks from Biffy Clyro, Stone Sour, and Serj Tankian, while the Game Stop version includes songs from Middle Class Rut and D.R.U.G.S. Linkin Park contributes the song "Iridescent" (which also appears on Linkin Park's 2010 album A Thousand Suns) to Transformers: Dark of the Moon. The track's official video has already racked up more than two million views on YouTube since being uploaded on June 3rd. On the contribution, composer Steve Jablonsky says, "I respond to Linkin Park because they have a cinematic sensibility to their music that just translates to the big screen." This is Linkin Park's third time working with Transformers director Michael Bay. The first Transformers filmfeatured the band's smash hit single "What I've Done," which rocketed to No. 1 on both Billboard's Mainstream Rock and Modern Rock charts, while the second film featured the specially written "New Divide," which topped the Rock, Modern, and Mainstream radio charts simultaneously. Fueled By Ramen recording artists Paramore's audio version of "Monster" has collected more than two million views on YouTube and was the #4 Most Watched music video the week following its launch on June 3rd. Opening in theaters on June 29th, Transformers: Dark of the Moon,stars Shia LaBeouf, John Turturro, Josh Duhamel, Tyrese Gibson, Rosie Huntington-Whiteley, Patrick Dempsey, and Kevin Dunn, with John Malkovich and Frances McDormand. Shia LaBeouf returns as Sam Witwicky. When a mysterious event from Earth's past erupts into the present day it threatens to bring a war to Earth so big that the Transformers alone will not be able to save us. Paramount Pictures presents in association with Hasbro a di Bonaventura Pictures Production a Tom DeSanto/Don Murphy Production, a Michael Bay Film Transformers: Dark of the Moon. Executive Producers Steven Spielberg, Michael Bay, Brian Goldner, Mark Vahradian. Produced by Don Murphy & Tom DeSanto, Lorenzo di Bonaventura, Ian Bryce. Based on Hasbro's Transformers™ Action Figures. Written by Ehren Kruger. Directed by Michael Bay. 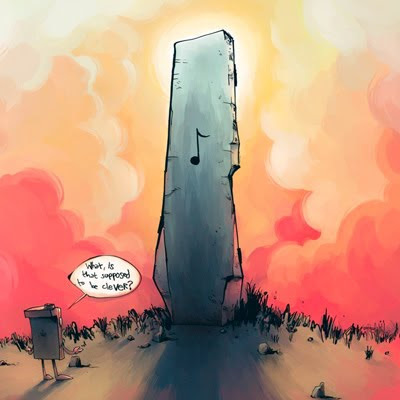 My Chemical Romance - "The Only Hope For Me Is You"
Taking Back Sunday - "Faith (When I Let You Down)"
Art Of Dying - "Get Thru This"
* Goo Goo Dolls - "All That You Are"
Theory Of A Deadman - "Head Above Water"
Mastodon - "Just Got Paid"
Biffy Clyro- "Many Of Horror"
Stone Sour - "The Pessimist"
Middle Class Rut - "Lifelong Dayshift"
Heloise & The Savoir Faire live! Heloise & The Savoir Faire: at Heavy Fest from Heloise&TheSavoirFaire on Vimeo. Burlington, VT— On Thursday, June 16th, Heloise Williams will perform as a featured musical guest on John Roberts’ show at the world famous Carolines on Broadway. John Roberts plays the mother/wife figure in Bob’s Burgers, the hit new animated series on Fox, and has toured extensively with comedian Margaret Cho. His diverse career also includes forming the band Opti-Grab, which played with acts such as Gogol Bordello, Scissor Sisters, and Blondie. Look for a collaborative track between John and Heloise & The Savoir Faire soon. 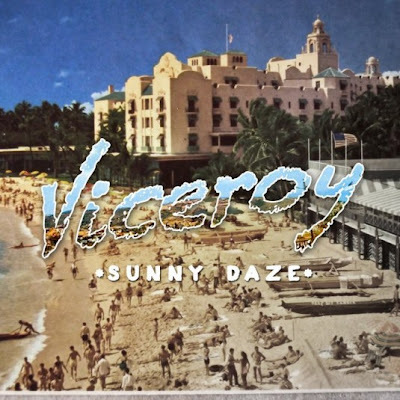 It's our pleasure to formally introduce you, the ever-so-powerful blog world, to the sounds of 'Viceroy'. He’s one of those names that you could have easily slept on. One day he’s off at school playing local fraternity parties as a dubstep producer under a different moniker, and the next he’s off earning his way to the forefront of the french house/nu-disco world. With little to no outside help, Viceroy is now finding himself on top of the electronic charts at the Hype Machine. With his perfectly tuned remix of Duck Sauce’ (Armand Van Helden/A-Trak) forthcoming single “Goody Two Shoes”, Viceroy is now finding himself featured on nearly every blog in existence including the famed Dödselectro and Gotta Dance Dirty. 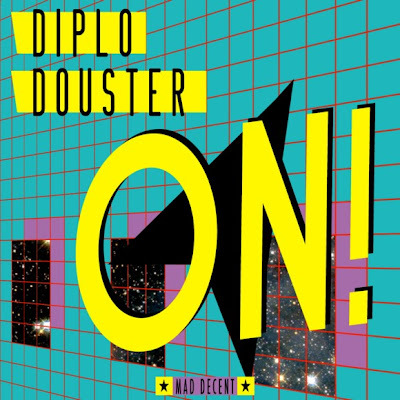 Download the brand new Diplo & Douster collab. track "ON!" for FREE! Visit diplo on facebook here and Like his page to unlock the free download and keep a lookout for more freebies & physical versions soon! LOS ANGELES - With two major label albums under their belt, years of touring, a MTV reality series Buzzin', and Bananabeat, the burgeoning one-stop artist collective which includes recording and TV production facilities, as well as divisions for internet and street marketing, brand alliances, tour promotion, management and booking, Shwayze and Cisco Adler have accomplished quite a great deal since their momentous meeting just three short years ago. On Island In The Sun, their first truly independent album, slated for release August 16th under Bananabeat Records, the duo now officially goes by the name Shwayze & Cisco Adler (abbrev. Shwayze & Cisco) to express the true nature of the collaboration. "We've both grown as people and as artists," says Adler, who first met Aaron Smith a.k.a Shwayze when the rapper jumped on-stage during Adler's previous band's set and began freestyling. The pair immediately hit it off. "We were really just two dudes in a Malibu studio having fun and making music as a soundtrack. It all came from that." "The core of this record was just us jamming together," says Shwayze. "The little break we took from the last record, made us each stronger in our areas. I think we're back to where we were when we started. We've been a duo since day one. Shwayze and Cisco Adler is a better representation of what it really is." The album, produced by Adler in Bananabeat Studios, will include the title track, a breezy acoustic number, and "Butterflies," a song first previewed on the FREE The W's mixtape released earlier this year. Adler, who has recently worked with Mike Posner, G. Love, and Unwritten Law to name a few, was eager to get back into the studio with his partner in rhyme and write the next chapter in the duo's career. Shwayze & Cisco will hit the road with Slightly Stoopid and Rebelution on the Seedless Summer Tour 2011 tour, starting July 21 in Missoula, MT., running through August 27 in Chicago, IL. 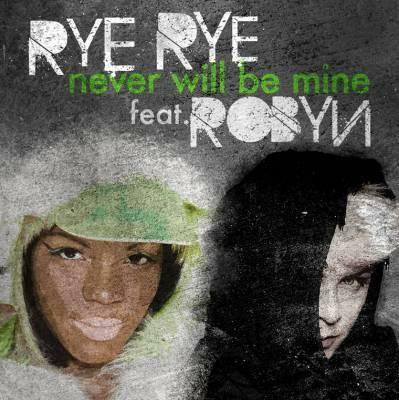 In addition to just releasing the video for her new single "Call Your Girlfriend," Robyn has collaborated with Rye Rye, deemed hip hop’s latest it girl by Details magazine, on her new track called "Never Will Be Mine." 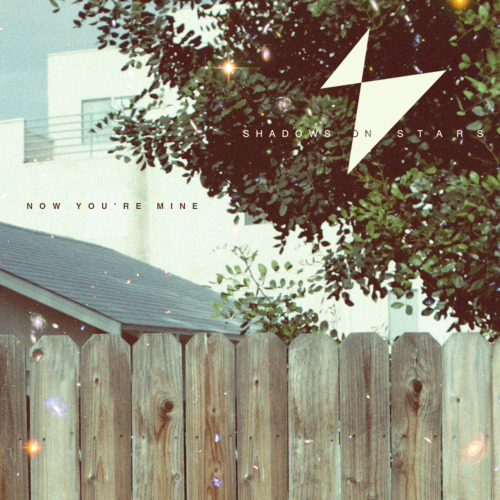 The song, available digitally today, samples Robyn's 2005 hit "Be Mine!" Fans can expect a music video from the much buzzed about M.I.A. protégé and Robyn coming soon. Today Robyn will join Katy Perry's "California Dreams Tour" where she will be supporting her new album Body Talk through August 7th. The first stop of On The Road Features Mac Miller. In this episode we catch up with Mac to talk about the wildest things that have happened to him lately including a girl peeing herself when seen on stage. 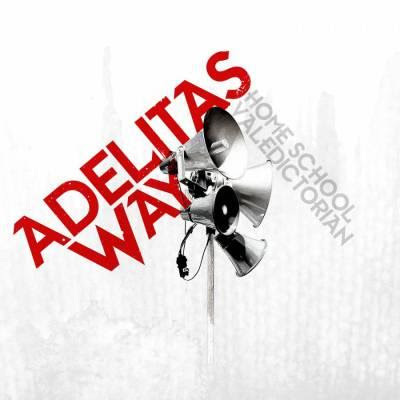 Home School Valedictorian, the sophomore album from Las Vegas' rock group Adelitas Way, is now available! Fans can purchase the new album for a special discounted price at any Best Buy by printing their very own coupon before purchase. 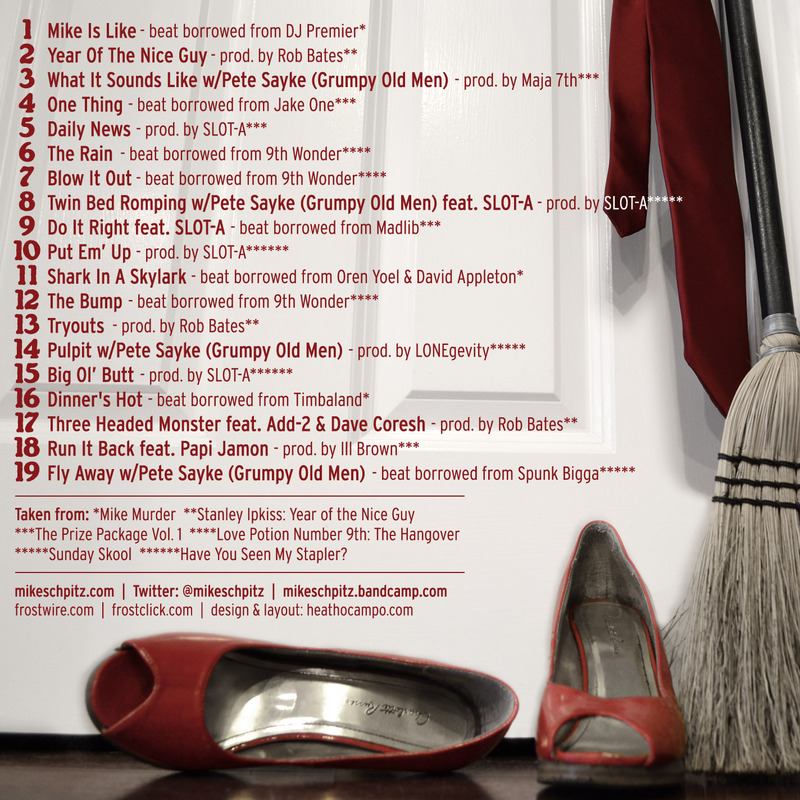 Home School Valedictorian was produced by Dave Bassatt (Shinedown) and features the album's first single "Sick," which can be heard in the band's latest official video for the single. For more information on Adelitas Way as well as upcoming tour dates, make sure to check out the band's official website, www.adelitaswayrock.com, as well as their Facebook and Twitter pages. 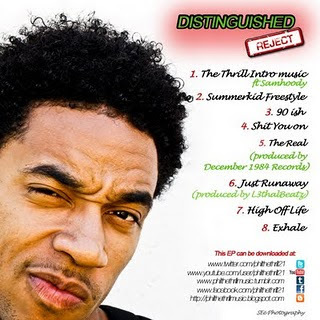 Fans can pick up their copy of Home School Valedictorian available now on iTunes and in stores everywhere! "Chance - Week 4 (produced by Vinny Buck$)"
Hailing from a small town in Wisconsin, CHALLENGER! was formed by Chris Burton and Mike Potter in mid 2010. 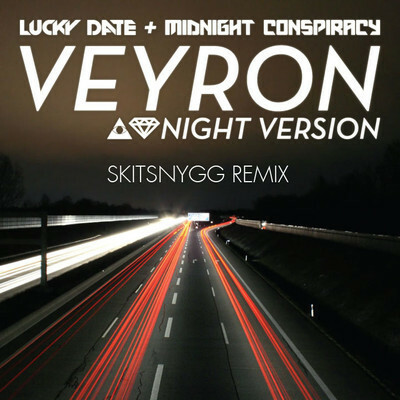 Taking current electronica to the next level, these guys are pushing the envelope by creating dance-core music that forces listeners to sing along while delivering hard-hitting club beats. CHALLENGER! was originally created with the intent to play covers, but it wasn't long before the boys realized their full potential writing original songs. It only took a few months before CHALLENGER! 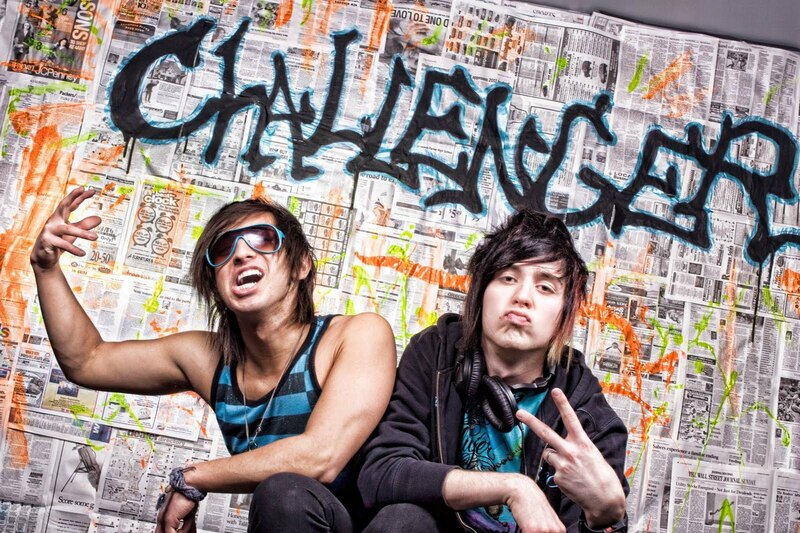 had an EP ready to record, and in February 2011, their EP "PWNZ" was released on iTunes. The band are currently at JTW Recording studio (with producer Joel Wanasek) laying down tracks for their upcoming inVogue release due out this summer. CHALLENGER! are also preparing for a tour throughout the Midwest and East Coast of the United States, which will be announced soon, in support of their current self released EP "PWNZ". Get to know the Malibu-based Colette Carr in the video for her new single "(We Do It) Primo" which just premiered on VEVO.com. The track samples "Somewhere Only We Go" from her Cherrytree label mates Keane which was recently featured on Glee. 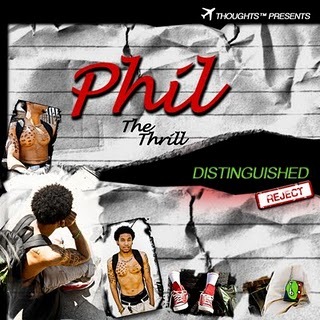 "(We Do It) Primo" will appear on the 20-year-old singer, rapper and songwriter's debut album. In addition to being a Cherrytree Records artist, Colette is also part of Nick Cannon’s Ncredible roster and her debut album will be released on the Cherrytree, Interscope and Ncredible labels. Design For Humanity 2011 event teaser from Billabong Girls on Vimeo. Now in its 5th year, Design For Humanity is Billabong's charitable initiative which has become an opportunity not only for Billabong but for retailers, athletes, celebrities, artists and ultimately attendees to give back. All proceeds are being donated to The VH1 Save the Music Foundation who are dedicated to restoring instrumental music education in public schools. To date, the Foundation has provided more than $47 million in new musical instruments to 1,750 public schools in more than 100 cities, impacting the lives of over 1.6 million children. The event will be held on the 15th of June at Paramount Studios in Hollywood. This massive fashion-music-art block party will feature two concert stages, DJ dance parties, a runway fashion show showcasing one of a kind Billabong bikinis, food trucks, art installation, a VIP street, and much more. By posting about this event to your readers you will help contribute to a much wider cause. Pete Sayke, SLOT-A, Add-2, Dave Coresh, Maja 7th, Ill Brown and Rob Bates. 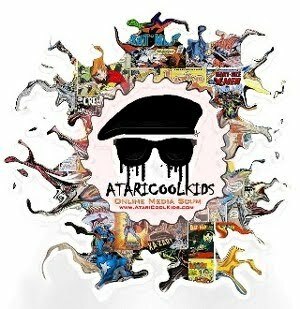 Looking to inquire about advertising rates with AtariCoolkids feel free to send an email to ataricoolkids [ AT ] gmail.com and someone will definitely get back to you with a quote.